The Pearl Fincher Museum of Fine Arts will host a free “Informance” concert on Thursday, December 7 featuring members of the Houston Grand Opera Studio's Artist-in Residence program. Soprano Megan Samarin and pianist Kirill Kuzumin will perform beautiful opera pieces and field questions on what it takes to perfect their craft. The concert will take place in the Main Gallery of the museum. Tickets are general admission only. ​Seating is limited. Only 2 tickets per order. Reserve your spot by clicking this link to our EventBrite page to claim your ticket or call the museum directly at 281-376-6322. The Marriage of Figaro with Opera on the Avalon. 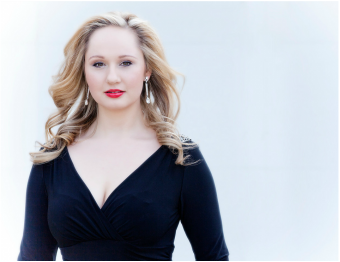 She recently sang Olga in Eugene Onegin at HGO, and later this season she will sing Third Wood Nymph in Rusalka and Lady Meresvale/Mistress Revels in the world premiere of Carlisle Floyd’s Prince of Players. with Martin Katz. 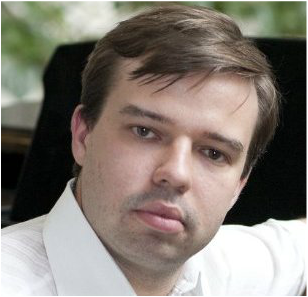 He has appeared in recital in many of the world’s most prestigious concert halls, including the Bolshoi Theatre Beethoven Hall and Carnegie Hall, where he collaborated on Marilyn Horne’s art song initiative, The Song Continues. So far this season at HGO, he coached singers in Eugene Onegin as well as acted as Russian diction coach for the production. He will continue to coach this season on the productions of The Little Prince, The Marriage of Figaro, and Siegfried.